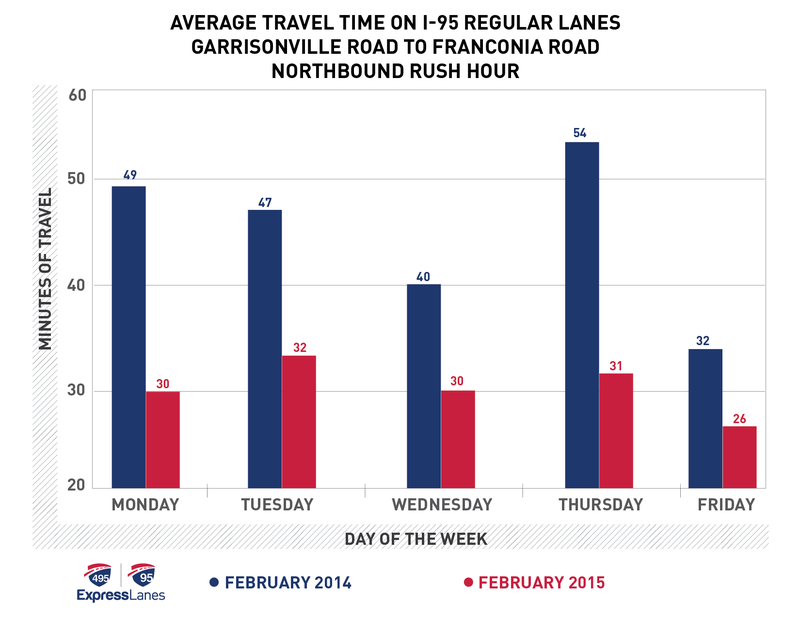 WASHINGTON — A new survey from toll lane operator Transurban finds that the Virginia Express Lanes have cut the commute times for everyone, including those in the main lanes. 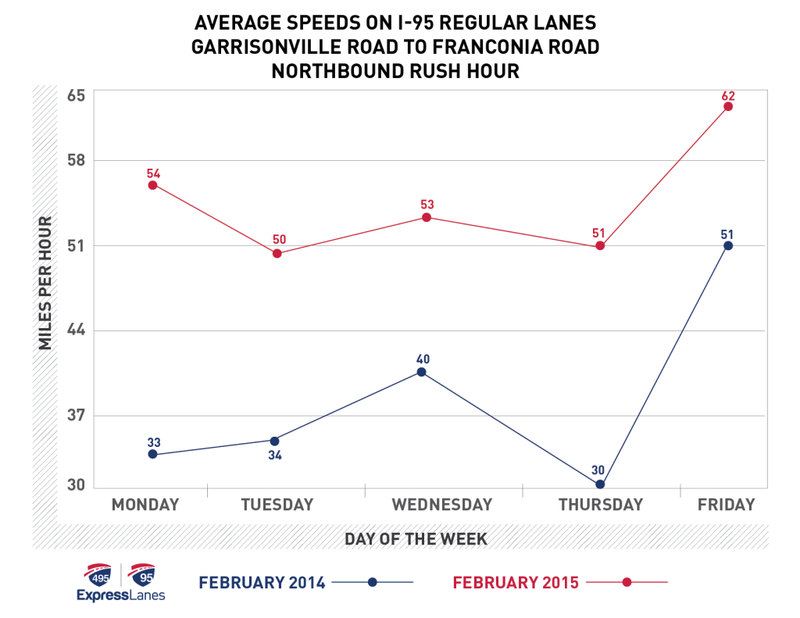 On the 95 Express Lanes, the company compared travel times between last February and this February, and found that people saved an average of between six and 23 minutes, with the average speed at least 11 mph higher. 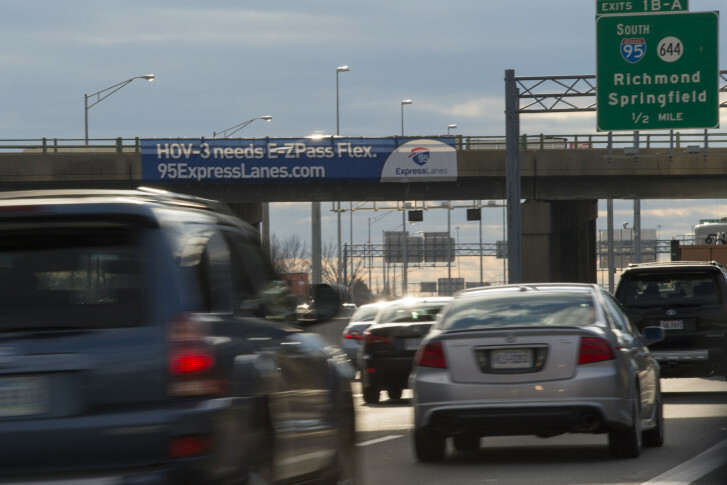 The 95 Express Lanes opened in December 2014. 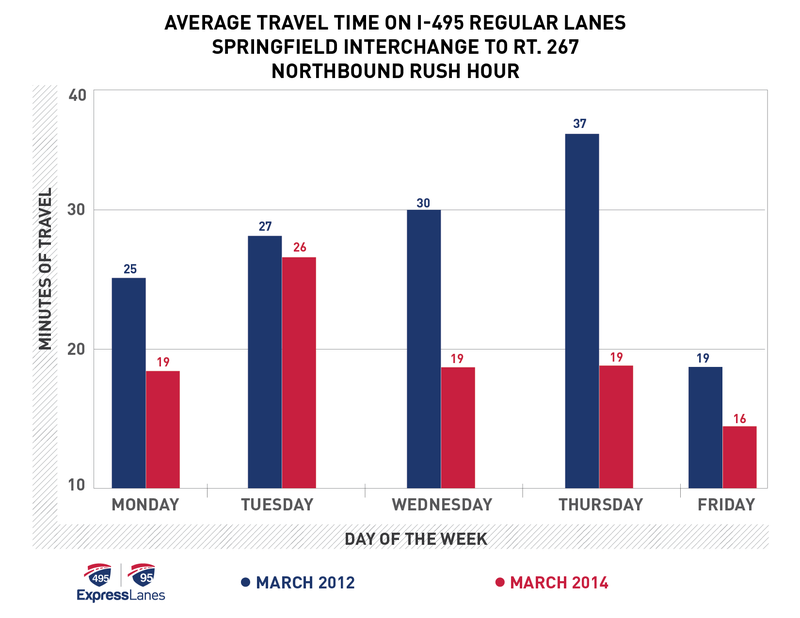 On the 495 Express Lanes, the company compared travel times between March 2012 and March 2014. Transurban found that people saved an average of one to 16 minutes, with the average speed at least 2 mph higher. The 495 Express Lanes opened in November 2012. “On 95, we’re giving a little more capacity. But most importantly, a bunch of drivers who had to sit in that traffic when that HOV restriction was in effect can now come over to the Express Lanes and take advantage of the faster lanes. That alleviates some of that pressure on the regular lanes,” says Transurban spokesman Mike McGurk. “On 495, we added a lot of new capacity across the corridor. We brought it to 12 lanes from 8 lanes before,” he adds. Those out on the road, however, may not necessarily agree with the results. Some have complained to WTOP about traffic at the southern end, near Dumfries, or the northern end, at Turkeycock Run near Edsall Road. Others have complained that traffic remains bad in Lorton, and some have complained about traffic in Tysons. Others agree the Express Lanes do save time, including Toni Cooley. While she fought Transurban in court over unpaid tolls, she continues to commute on the Express Lanes several times a week. She says her commute is quicker to Falls Church since the 495 Express Lanes opened, especially when there is traffic in the main lanes.